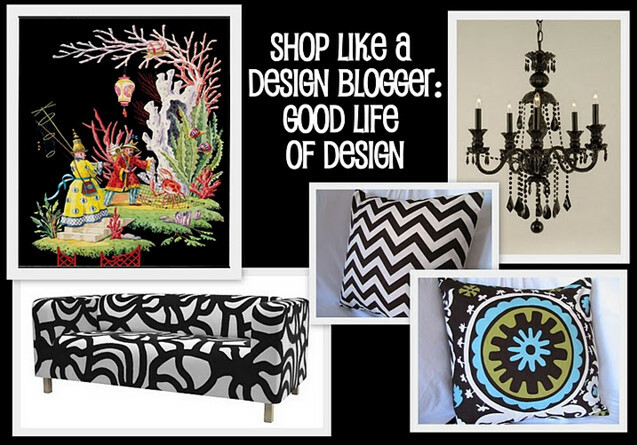 This week's guest post comes courtesy of the darling and stylish Kathysue of Good Life of Design. Kathysue is one of those bloggers who just gives you the warm fuzzies. Not only is she full of great ideas for your home, but her plethora of positive energy and kindness always manages to brighten my day. I think shopping like a designer has more to do with How you shop than where you shop. For instance I think it is important to train your eye by shopping at High end stores, by going to museums and art galleries and study what you see. The reason for doing this is so when you see something at a great price, no matter where you are shopping you will be confident in making a purchase. I have a friend that has a saying that I have borrowed, “LLM” Looks-Like-More!! With this in mind I know you want some shopping resources so here are few that I think will make the “LLM” criteria! I will also give some other resources that might be in a higher priced category but worth a visit. Artaissance: You will find all different styles of art at all different price points. They are prints and you can pick your size and framed or unframed. They even have a sample program for $6.00 you will get a small piece sent to you so you can make sure the subject matter and colors will work for you. I am in love with their Biltmore Collection. 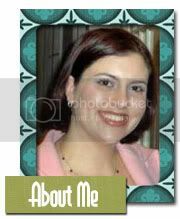 Panteek.com: You will find a wonderful resource on this website for antique botanicals at very affordable price points. You will find some at higher price points too. I believe if you love botanicals or any type of historical print, this is the site for you. Harrison Howard: This art is on my “Someday List” I love a touch of Chinoiserie and a touch of whimsy and Harrison Howard does all of that and more. The colors are amazing and the subject matter is captivating. The beauty of this site is it offers different price points in the form of prints in Giclee to the original where you must contact the artist. I love my visits on this site and I think you will too. Shall we move onto Pillows? We all know about Etsy.com. 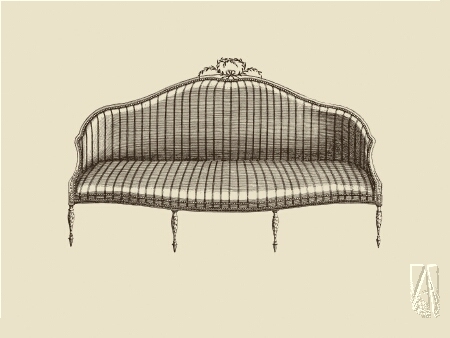 This is a wonderful site of vintage and handcrafted items. I have found a few sites that I think have decent fabrics and prices. 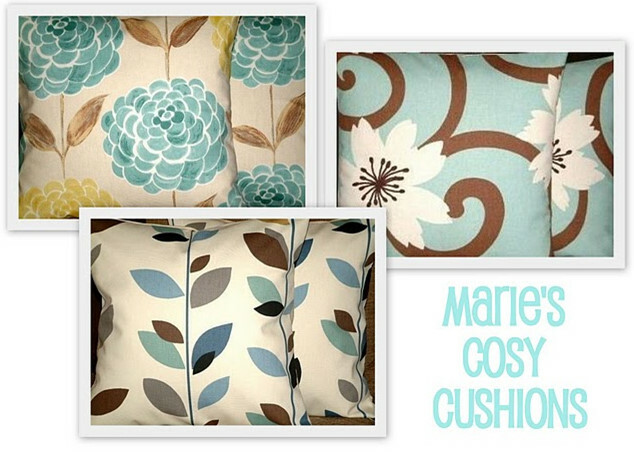 Marie's Cosy Cushions: You will find pillows made in more of a modern/contemporary style for a very affordable price point starting at $20. Elegant Touch: At Elegant Touch you will find a higher price point with fabrics that I call more current and today. Definitely worth a visit! Nena Von: Nena Von makes pillows out of designer fabrics that are also very current, but at a lower price point starting at $25. 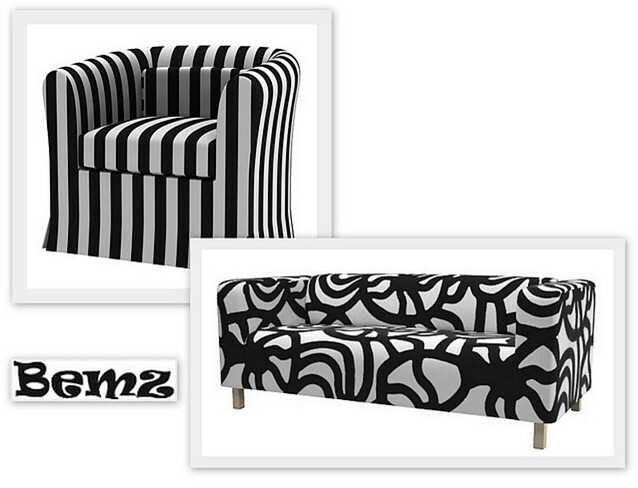 Bemz: If you own any Ikea furniture this site is for you!! They have all kinds of fabric choices including Marimeko to make a slipcover out of for your Ikea pieces. Very affordable and Fun!! I have a couple of sites that just fall into the unique category. They seem to have items that are unusual and eclectic and would a wonderful touch to any interior. Pieces: You name it they have it and at all price points, High-Low!! Fun site to peruse for something different. Furbish: At Furbish you will always find the unique!! InMod: This site can actually fit in the UNIQUE PILLOW category. 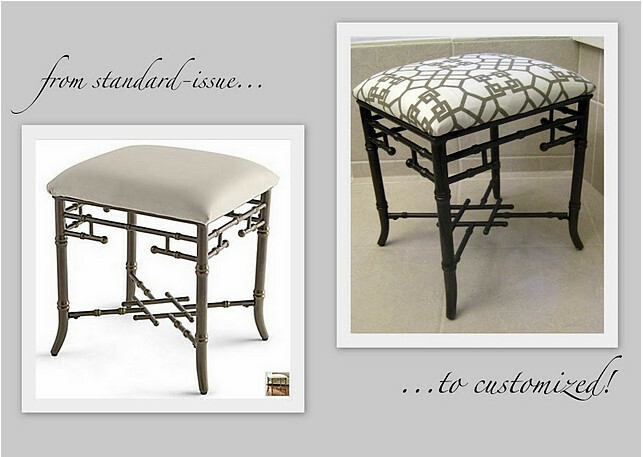 On this site you can design you own pillow in a modern Icon chair,pop-culture print to a classic damask. You get to choose the fabric content, size and the thread color that the design will be embroidered in. Love this site!! Great Chandeliers: You can find chandeliers for under $300. They have a lot of variety so it is worth the looking. Look at how cute this is for a little girls room for only $99! TVStands.com: I know ! Don’t let the name scare you off, it almost did me, but then remember? “LLM” This will fit under that criteria with some major web-shopping. So there you have it!! This was so fun for me to line my shopping sites up for you all. Averill, thank you soooo much for inviting me to do this. It was an absolute honor to be asked in the first place by a fellow blogger as yourself. I have admired you and your design aesthetic and your writing skills for a very long time. I consider you a blogging friend and this was truly and honor and a lot of fun!! Next Week's Guest Blogger: Mackenzie at Design Darling. I love that you just referred to the warm fuzzies in connection with KathySue...its so true! 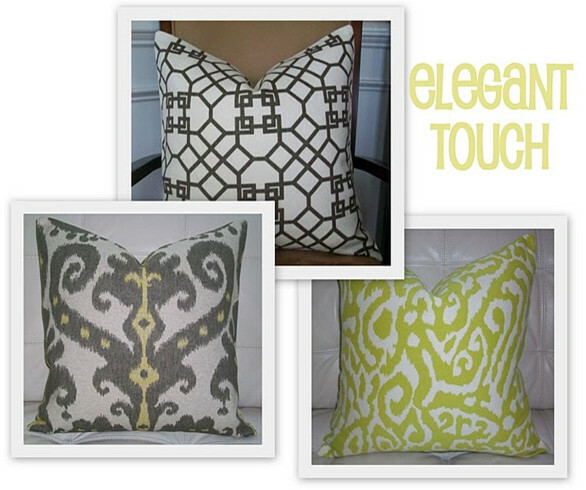 And I am loving all of these great throw pillow resources...I share the same addiction to them! Really enjoyed this, thanks! Great Post. I just bought those Cindy Crawford stools on sale from JCPenney to fix and then use under my console table. Still have to decide on the fabric (love that print). I was entertaining the idea of painting the base a kelly green...hmmm. Kathysue is one of the kindest and most supportive bloggers out there. This is a great roundup of many new (to me) resources. As always I love this series! What a wonderful post! We do have black belts in shopping. I am visiting each and every commenter on this post. They are my people!! Averill, I love this series, and Kathysue's post is quite possibly my favorite one yet! I love the LLM suggestions, and I'm off not only to peruse them but also to read Kathysue's blog! Wow! 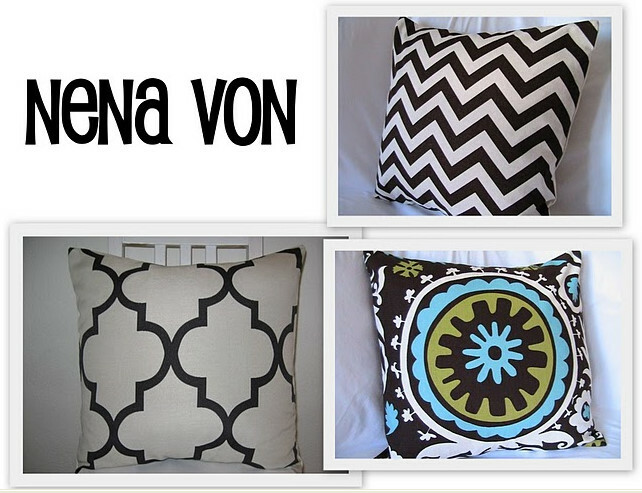 I love those Nena Von pillows, and just added the shop to my Etsy favorites! Great resources Kathysue, will definitely have to check out the pillows on Etsy. High-low is definitely the way to go. I knew this would be a fun post! Love the pillow obsession...I can relate, so thanks for all the great resources! And, I just recently became aquainted with Harrison Howard, what a gem! I am just so glad you all are enjoying this post!!! I hope the resources will be helpful. This has been so much fun for me, thanks to Miss Averill!!! Kathysue rocked this post as I knew she would! And of course, I concur about her being the warmest and fuzziest blogger in blogland. As always, Kathysue is a wealth of information. I love how you describe her as warm and fuzzy. Love it! Thank you Averill, this was the perfect guest post. Kathysue, you are feeding my pillow addiction! Oh wow, those Nena Von pillows are fantastic. Bookmarked them immediately. I love this post...so much great information, and I am thrilled you included the resources! A very good point in the opening: training your eye to see details and notice differences... this is so important! I am glad you mentioned it! I love the idea of training the eye....and Look Like More!!! I'm always learning! Great resources! JCPenny stool, really?! Wow. Really great post. I love the lighting resources!